Former Red Star and Zaragoza player will continue his career in MoraBanc Andorra next season. As it was officially announced, point guard Dylan Ennis will be a part of MoraBanc Andorra in 2018/19 season after signing a one-year deal. 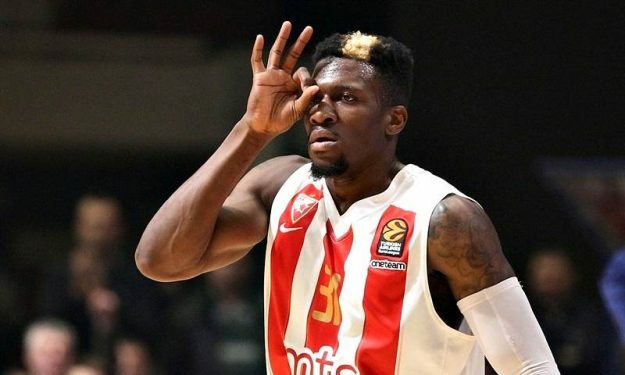 Morabanc Andorra has put some firepower in its backcourt by signing guard Dylan Ennis to a one-year deal, the club announced on Thursday. Ennis (1.87 meters, 26 years old) arrives from Tecnyconta Zaragoza, where he averaged 15.2 points and 2.2 assists in six Spanish League games last season. He started the 2017-18 season, his first in professional basketball, with Mega Bemax Sremska Mitrovica, averaging 18.6 points in 10 Adriatic League games before joining Serbian powerhouse Crvena Zvezda mts Belgrade. Ennis made his Turkish Airlines EuroLeague debut with Zvezda, averaging 6.5 points in 18 games. Ennis played college basketball in three different universities: Rice, Villanova and Oregon. He helped Oregon reach the NCAA tournament’s Final Four by averaging 10.9 points, 4.4 rebounds and 3.1 assists in 39 games. Ennis has also been a member of the Jamaican national team, which he helped win a bronze medal at CentroBasket 2012. Ennis is set to make his 7DAYS EuroCup debut in the 2018-19 season.